Hawk Pads, Racing Brake Lines, and ATE Brake Fluid! All Stocked up and ready to ship we have all of your Hawk Brake Pads, Stainless Steel Lines, and Brake Fluid needs! Hawk HPS are an excellent pad they have initially less bite over OEM but they consistently last longer than OEM and modulate just as well. Their compound is a Ferro-Carbon mix providing up to 40% less fade which means LESS DUST! They are low noise pads and will be gentle on the rotors and can be used for hot or cold applications. This is recommended for those looking for a great street pad, occasional Spirited Driver. 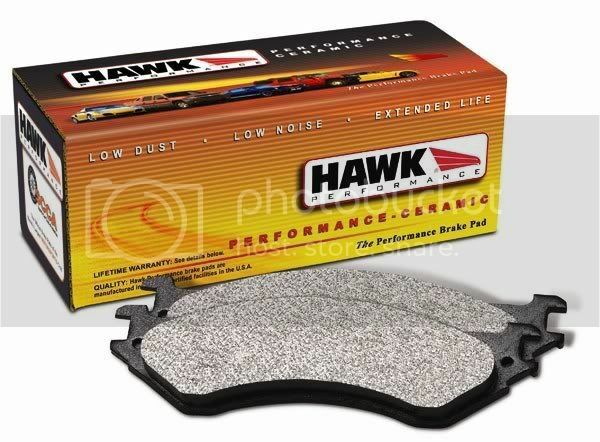 Hawk Performance ceramics have consistently more stopping power than OEM so they have an excellent intial bite and are generally an excellent choice for a Street Pad. These pads are designed to be ultra low dust and low noise based on their compound mixture which makes them the recommended brake pad, typically for users looking for a pad superior to OEM. 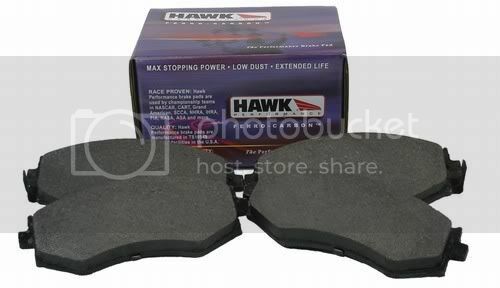 Hawk HP Plus are the high performance pads for those that autocross and track their vehicles. This is a great pad that can handle the heat at the track and not have to worry about changing pads to drive home. The Compound mixture of the HP Plus utilize a high-tech friction Ferro-Carbon compound that offers lower wear rates and higher torque values. The Hawk HP plus meet the highest demands of customers you can rest assured that the HP plus has the stopping power you want and need. With your pad change we highly recommend changing out the spongy rubber brake lines and getting some DOT Certified Stainless Steel Brake Lines. We have Racing Brake SS lines that will meet your needs in increasing pedal feel! 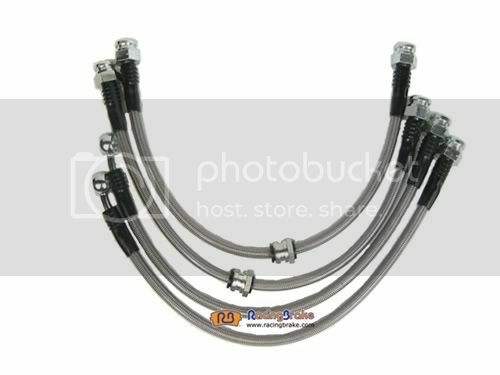 We have both Mazdaspeed 3 and Mazdaspeed 6 Brake lines in stock! Lastly while you are changing out your lines and pads don't forget your fluid!! 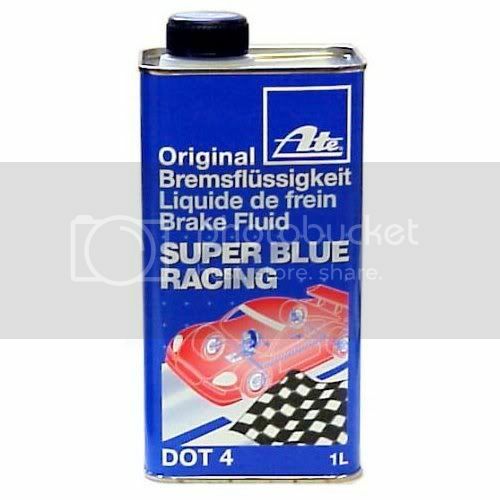 We run ATE Brake Fluids in all of our track and street vehicles, as it is a non synthetic brake fluid that is DOT4 with a wet boiling point of 400 Deg F and a dry boiling point of 536 Deg F which is actually 20 degrees higher than DOT 5! 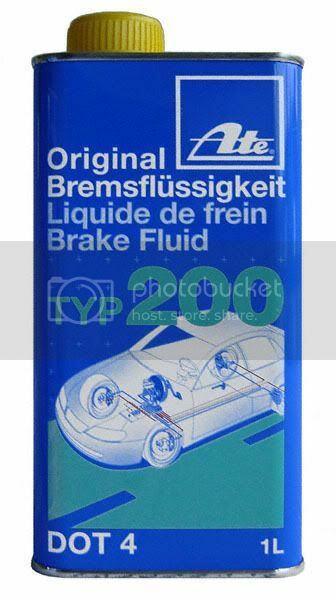 The high wet boiling point temperatures prevent formation of Vapor bubbles which allows for easier filling and bleeding of the brakes and has a high safety tolerances against steam bubbles. We stock both Amber TYP200 and Super Blue so you have your option to pick! Pricing and Orders can be completed VIA our Website! Also any avid track users that need the Hawk Motorsports Brake pad we order pads regularly so let me know and we can get the HT-10, DTC-60, and Blue 9012. Wow not bad. So the Hawk Ceramics have better grip/stopping power than OEM? Correct, they are the most popular street pad we sell across the board. They have the best of both worlds. But the HPS pads are superior to the Ceramic. But if you want a full step to a step and a half up over the OEM pads and 20-25% less dust, get the HPS pads. People falsely seem to think because of the word Ceramic that they are better pads for stopping and grip, and that is untrue. The HPS's produce more dust than Ceramic, but are better pads for street and aggressive street driving (or entry level track use). I can agree with this. I have had customer feedback on HPS saying that they don't like the overall stopping power and like Ceramics better. Oddly enough I have many that prefer taking HPS to the track or Autocross as the ceramics will just burn through and not even bite. Preferably I run HP Plus on the street and AutoX and a motorsports pad like HT-10 or DTC-60 when I do track events. Most people over analyze what pad they should go with and don't look at what their most important characteristics are they desire for a Brake Pad and what environment they are going to be used in. Here is an excellent article to read over for those looking for more insight. It really is give and take, you have to decide what is most important to you. Myself I am an extremely spirited driver on the street and I like the HP Plus over any other pad that hawk offers for street use. To say one is superior over the other it can be argued. Which characteristics make it superior? There are too many factors and characteristics and driving styles for one to choose to say one is better than the other. I would say that the HPS has better Hot/Cold bite over the Ceramics but the ceramics have less dust, less noise and vibration but still have a consistent friction profile that give good stopping power. That is why I say it has the best of both worlds as most people that purchase pads, noise and dust are a concern. Personally I prefer HP Plus over others. Is there any disadvantage to using the HP+ on a daily driver besides brake dust? Ive driven on the HPS before (not on the speed) and I liked them, but like it says, they have less initial bite. While the other forum is GREAT for technical/mechanical information and how to, that place is filled with single-minded (if you aren't driving fast, you're doing it wrong), arrogant, and professional douchebags. The HP+ pads are the best performance street pad. They also hold a steady operating tempature without overheating over continues hard braking (brake fade prevention). The issues that people complain about hp+ are brake dust, and brake noise. The hp+ sacrifices certain luxuries to give you better stopping power. The hp+ are for those who enjoy autocrossing weekly, but do not want to change their brake pads after every event. Hawks street pads go in this order from street luxury to performance. Last edited by Race Roots; 09-25-2009 at 09:12 AM. bump for some awesome lines. feel great and fit 100% with no modding at all. I have heard horror stories of HP and HP + pads not getting hot enough on the street to get the correct braking power, and thus SCREECHING like crazy. I would go with the Hawk Ceramic for street, and the HP + for track use. They don't take much time to swap out in the paddock...you'll thank me. Hey, is there any way that you would do a package deal with all 3 products for a discount, like pads + ss lines + fluid? There is going to be a write up we are going to be doing in the Brake section for reasons why this occurs and what to do to avoid them. Also which application I can do a combo discount if you buy all three. can you give me a quote on lines, hps, and typ200? do you plan on stocking any rotors as well? i would be interested in slotted if you could work thos into the deal as well. I tried getting Racing Brake to make some Rotors but to no avail they decided it would only be straight vane rotors. You have a PM coming your way.